The European continent has been rocked by one of the largest political earthquakes in recent years, after the British people made the historic decision to leave the European Union (EU). The arrogant, corrupt establishment was so convinced that their concerted propaganda campaign to keep Britain in the EU would prevail over EU detractors, that they clearly were shocked by the Brexit vote. A personal highlight over the past few weeks has been watching the plethora of EU zealots and puppets of the globalist cabal whining, sulking and generally throwing their dummies out of their prams in response to the democratic wishes of the people. Remember, the Western establishment is only a cheerleader of democracy when it serves their interests, not when it challenges them. But what is the significance of the Brexit vote for the future of the EU? Long plagued by problems and perpetual crises, the fabric that holds the undemocratic and technocratic EU together is close to being set ablaze. Will the Brexit vote be the final spark that triggers the entire collapse of the EU, or is another event needed to finally ignite the European project that the globalists hold so dearly? I would tend to favour the latter over the former, as the response by the EU elites has been to push for further integration and the creation of an EU superstate. One of the most tectonic implications of the historic vote is how it has worked to energize calls from numerous other EU countries to hold in-out referendums. From the Netherlands to Italy, political organizations opposed to the EU have been emboldened by this vote. But the country that has the greatest potential to put the final nail in the coffin of the EU is France. 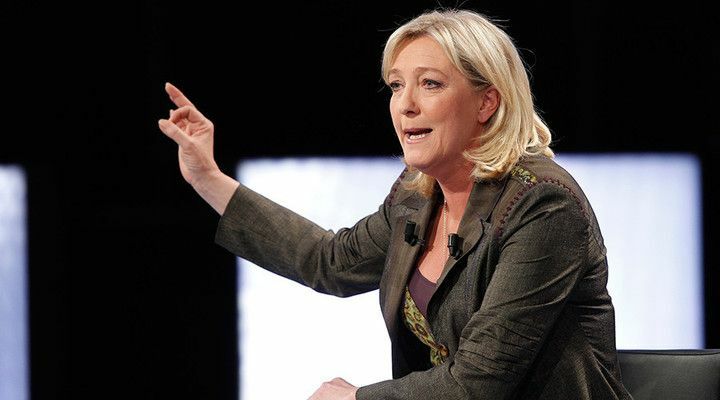 Marine Le Pen, the leader of the Front National, has been agitating for an in-out referendum on EU membership for years now, and has said that if she wins the presidential election in April next year, she will call an in-out referendum. In the aftermath of the Brexit vote, Le Pen ramped up her calls for a vote, however the French President Francois Hollande recently rejected such calls. According to research conducted by the University of Edinburgh in March of this year, 53 percent of people in France would be in favour of holding a referendum on EU membership. Although the Brexit vote was an important one, it should be kept within historical context and not overstated. Britain has had a complex relationship with Europe for hundreds of years, and prior to the First World War and the threat to the balance of power in Europe that arose in the early 20th century; British strategists were for large periods more focused on expanding the influence of the British Empire internationally, than on European affairs. As an island, geographically split from mainland Europe by the English Channel, Britain has also often seen itself as having one foot in and one foot outside of Europe. These realities contributed to the rather late admission of the UK to the union, not becoming an EU member until 1973. A more pivotal vote would be if one of the founding members of the EU voted to leave, with Belgium, France, West Germany, Italy, Luxembourg and the Netherlands, comprising the six founding countries of the European Coal and Steel Community in 1952. The Brexit spirit seems strongest in the Netherlands and France; with France’s size, strength and instrumental position in creating the EU meaning its voice would have the greatest impact. If the French people vote to leave the EU in a potential future referendum, there is no way the Western elite can prop up their treasured European project anymore.